Incognito Braces are also known as Hidden Braces or lingual braces, because they are placed “hidden” behind the teeth to straighten them from the inside. Incognito Braces consist of custom-made brackets that are made especially for the shape of your teeth to achieve the results that you want. 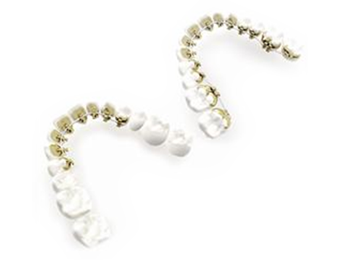 The Incognito Lingual Bracket System is a new generation of braces for people of all ages. They are created using state of the art technology and are completely customised to the shape of your teeth and to your dental needs. 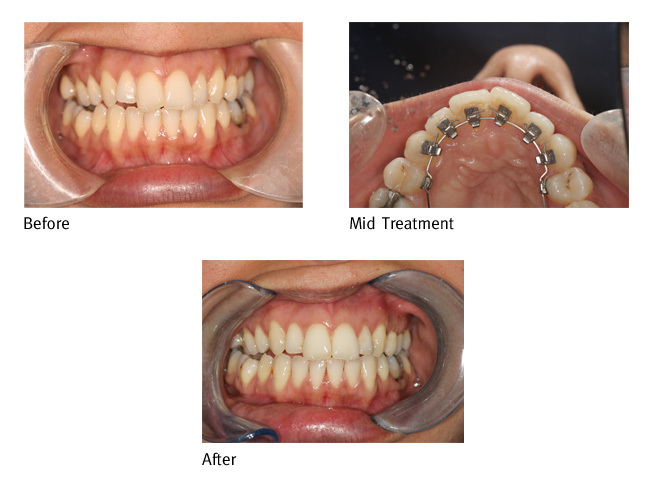 What is the procedure for having Lingual braces? Firstly you will need a consultation with the orthodontist in order to ascertain wherther you are a good candidate for this treatment or not. Then, in order to make your custom-made Incognito braces, the orthodontist will need to take an accurate impression or your teeth to send off to the Incognito licenced laboratory. At Smile Cliniq, we use the best impression materials on the market such as Provil Novo putty from Hereaus Kulzer and Affinis light body impression material from Coltene Whaledent. Use of good quality and precise materials ensures an accurate impression is taken, and therefore the brackets that come back from the Incognito laboratory will fit perfectly. When the Incognito brackets arrive, they are fitted onto the inside surface of your teeth in their precise order and position. Every 4 – 6 weeks, you will be asked to come back for a review to see our Smile Cliniq orthodontist in London, who will check your progress and make adjustments to re-tighten the Incognito brace. Treatment time generally takes around 12-18 months to complete. For more information on Incognito braces, why not book your FREE consultation with our award winning dentists in London.